These handy sets hold hobby projects in place to allow you to apply glue neatly and keep pieces in place until they dry. The Magnetic Snap & Glue Set features 4 magnetic clamps with 16 magnets. The Magnetic Adjustable Snap & Glue Set includes 2 adjustable-angle magnetic clamps with 8 magnets. Visit your favorite hobby dealer and make your gluing jobs a snap. 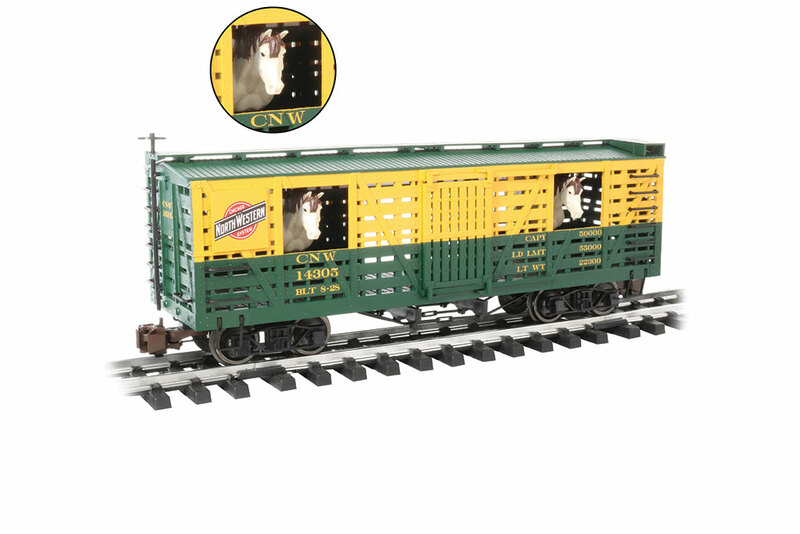 Enjoy the fun action as four cow or horse heads peek back and forth through windows as car moves around the track. Get a moove on to your favorite hobby dealer to get in on the fun with two new versions. Thomas the Tank Engine™ is on the move! Model railroad manufacturers Bachmann Trains USA and Bachmann Europe are pleased to announce an expanded licensing agreement with Mattel through which Bachmann has been granted rights to distribute HO scale Thomas & Friends™ products in the United Kingdom and Ireland. 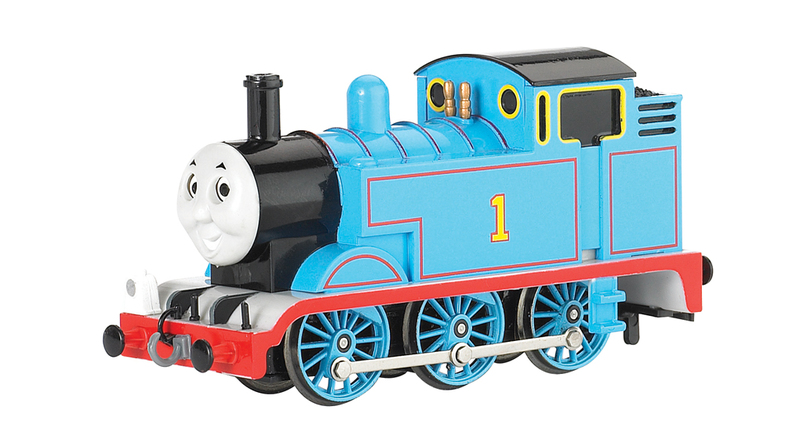 As worldwide distributors of Thomas products, Bachmann’s global network encompasses Canada, Mexico, and the United States in North American; Argentina, Brazil, and Chile in South America; most countries in Europe; several countries in the Middle East; and Australia, New Zealand, China, and Hong Kong. 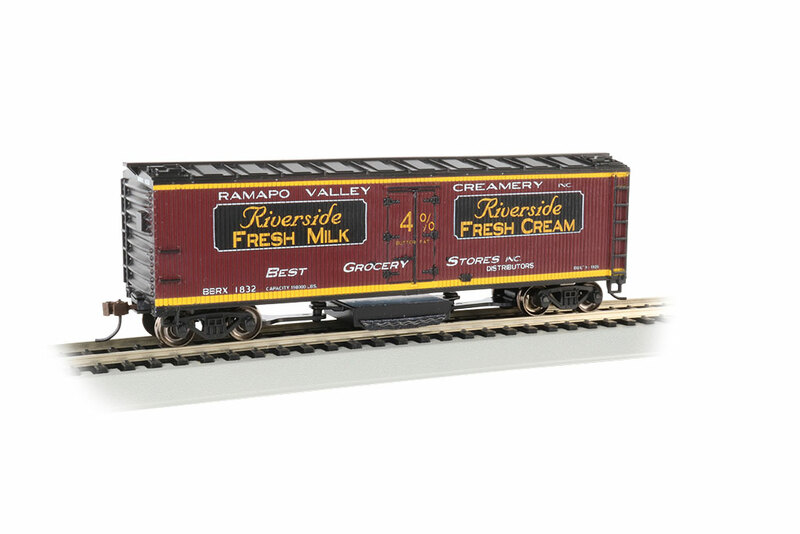 In addition to HO scale, Bachmann’s Thomas & Friends™ products are offered in HO Narrow Gauge and Large Scale, with a new N scale line to be offered in early 2020. 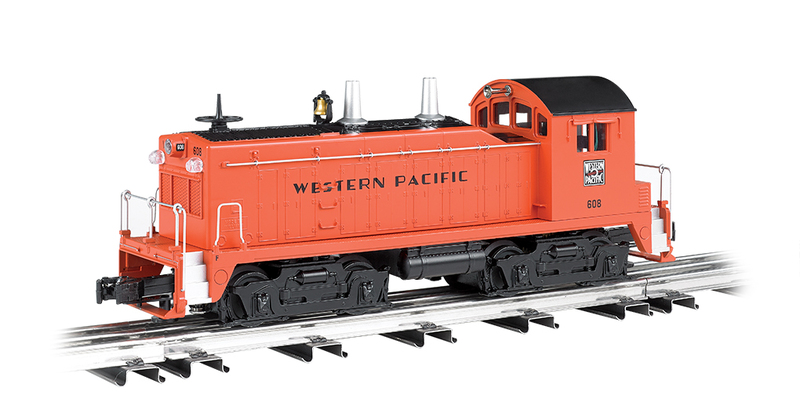 For retail purchases in the UK and Ireland, a full selection of Thomas & Friends™ electrically operated ready-to-run train sets and locomotives plus rolling stock, buildings, figures, and other accessories can be ordered now through the Bachmann USA web store, shop.bachmantrains.com. Additional retail availability in the UK and Ireland will be ready for rollout in 2020. Bachmann is excited to deliver fun railroading adventures to children of all ages in the United Kingdom, Ireland, and throughout the world. Thomas the Tank Engine™ was created over 70 years ago by a British clergyman, the Rev W Awdry, as a storybook for his son. That story quickly grew to become the award-winning global brand franchise it is today, enjoyed by families in more than 150 territories and in over 40 languages across multiple touch-points and formats, including: 400+ original TV shows; 12 feature-length films; 14 websites in nine languages; apps; toys (ranked number one property in the pre-school toys category in the UK and Australia and number two in the US); consumer products; publishing; live attractions and much more. Thomas & Friends has scooped prestigious accolades including a Parent’s Choice Award, a Webby and a Licensing Award for Best Classic Licensed Property. The famous and cheeky No.1 blue engine and his friends invite children to enter a world of imagination through the tracks of a train. Together, the children and engines embark on timeless adventures while experiencing valuable yet fun life lessons of discovery, friendship and cooperation. Thomas & Friends™ is viewable on more than 30 world-class broadcasters including PBS KIDS® in the US, Super RTL in Germany, and on Five’s Milkshake! and Nick Jr. in the UK. Downloadable episodes are available through iTunes, Amazon and Google Play. For more information about the wonderful world of Thomas & Friends please visit: www.thomasandfriends.com, www.facebook.com/thomasandfriends and for bonus material and exclusive content www.youtube.com/user/thomasandfriends.